Need time to study? Student Parent Resource Center can help! Lunch will be provided. 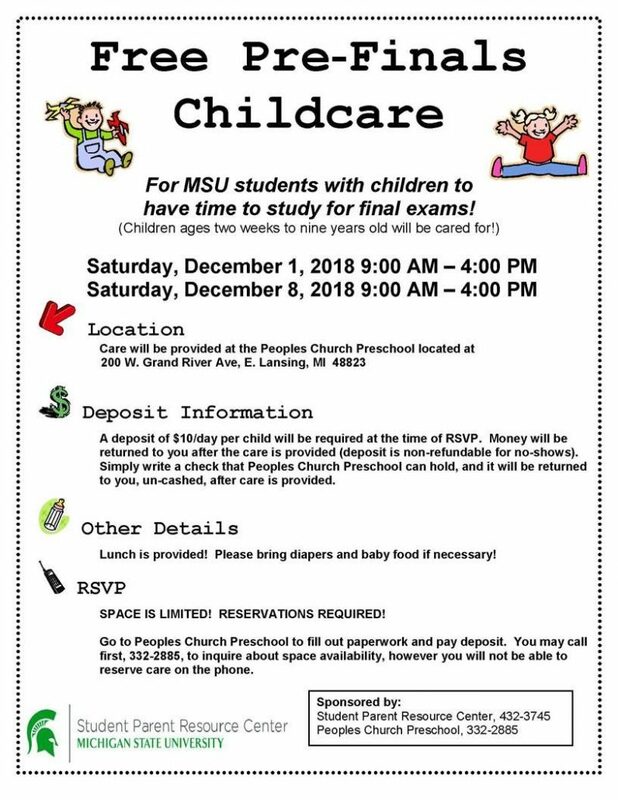 Please bring diapers and baby food if necessary. 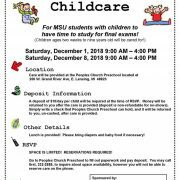 How to RSVP: Go to Peoples Church Preschool to fill out paperwork and pay deposit. You may call first to inquire about space availability: 517-332-2885. Reservations are not available by phone, however. SPACE IS LIMITED. RESERVATIONS REQUIRED!